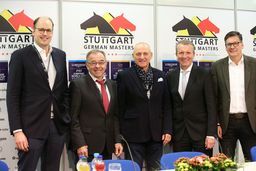 Stuttgart – Four classes, four wins 2016, four classes, four wins last year – and Isabell Werth’s winning run has continued this year at the 34th International STUTTGART GERMAN MASTERS in the Hanns-Martin-Schleyer-Halle. 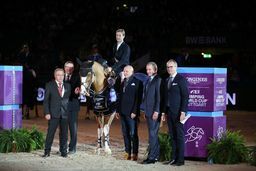 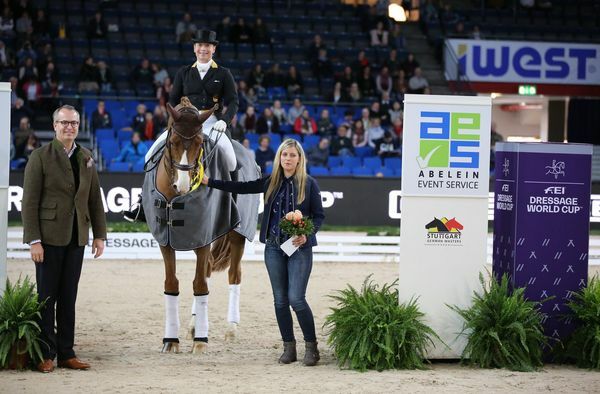 On Friday, the multiple Olympic, world and European champion claimed the dressage Grand Prix for the Prize of Abelein Event Service, the qualification for Saturday’s FEI World Cup freestyle. 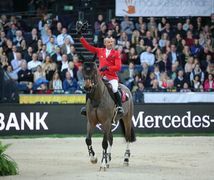 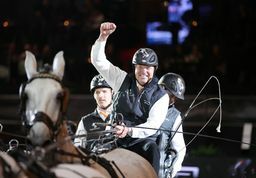 The 49-year old German, who is currently world-ranked number two (Weihegold OLD), three (Emilio) and four (Bella Rose), saddled up her World Championship-winning mare Bella Rose and was the only rider to break the 80-point barrier after being awarded 81.826 percent. 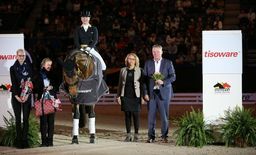 “Today was Bella Rose’s first outing since the World Championships in Tryon in September. She was a little over motivated but on the whole, I was very pleased with her,” said Isabell Werth when reviewing her performance. 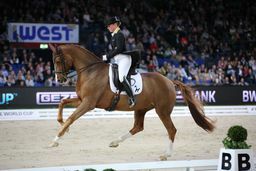 Second was the Dane Daniel Bachmann Andersen in the saddle on the ten-year old stallion Blue Hors Zepter (76.826). 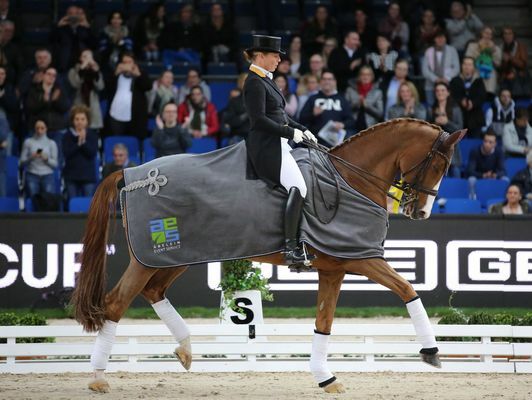 Team world champion Dorothee Schneider (Germany) came third on her jet-black stallion Sammy Davis jr (76.435). 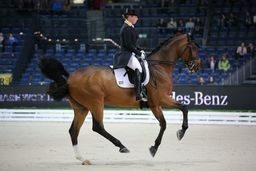 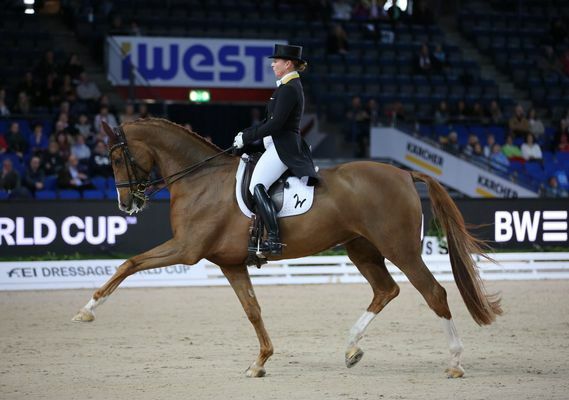 One place further back in fourth was the Olympic silver medallist in London in 2012 Helen Langehanenberg (Germany) and the 16-year old Hanoverian stallion Damsey FRH with 76.261 percent.